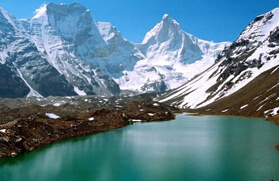 Located amid the hulking high snowcapped peaks at an elevation of 4,600 meters, the Satopanth Lake is one of the high altitude lakes in the Indian Himalayan region that is often dubbed as the lake of divinity. 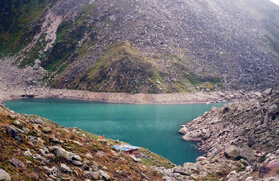 Hindus believe that Lord Brahma, Mahesh and Vishnu used to take bath in the pristine water of the lake on this auspicious day and hence the Satopanth Lake is considered as one of the sacred lakes in the Garhwal Himalayan region. 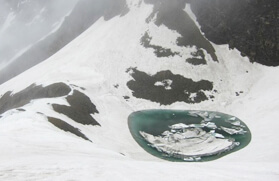 Every year thousands of pilgrims undertake the journey to reach the vicinity of Satopanth Lake to take a holy dip in the water in the belief that it will wash away their sins. 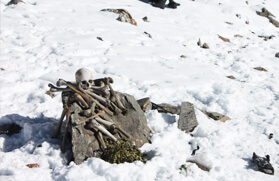 The trek to Satopanth Lake passes through several small streams, villages, alpine meadows and thick forest and once you step at a mighty altitude, you embark upon the dangerous glaciated tracks. The journey is as beautiful as it is adventurous. 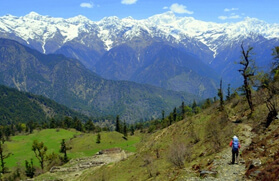 One can capture the surreal silver horizon formed by the snowcapped peaks of the legendary Nilkantha, Swargarohini flank, Balakun and Narayan Parbat. 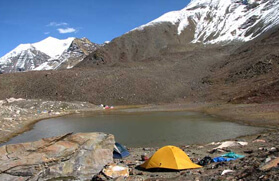 Thus the Satopanth Lake trek pulls in several backpackers, trekkers and explorers from all over the world and takes back home some of the beautiful to horrendous moments of lifetime. 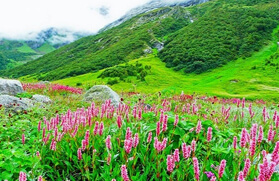 The journey to Satopanth Lake commences from Mana village, which is approximately 3 kilometers up from Badrinath at 3,300 meters. Badrinath is one of the Hindu pilgrimage sites popular for hosting a shrine dedicated to Lord Vishnu. The trail from Mana leads to Vasudhara via Bheem Bridge. 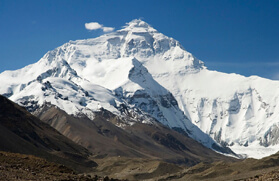 The major attractions on this journey are the Indo-Mongolian tribe set up at Mana village and Vasudhara falls. 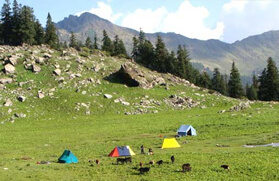 The trek to Satopanth continues to head towards Laxmi Van en route a dense forest and thereafter the track snakes to the vicinity of Satopanth Lake. The trek downhill to Badrinath follows the same route and thereafter the trekking tour to Satopanth Lake leads to Rishikesh. In the morning, from New Delhi catch the AC Train for Haridwar departing at 06:50 AM. After reaching Haridwar, you will meet our representative who will assist you transfer to the next destination Rishikesh and reaching their check into the hotel. The evening time is all free for exploring and shopping in the local markets of the city. We will be staying overnight in the hotel at Rishikesh. Today, we will drive towards Joshimath through Rudraprayag and Devprayag. On the way of the journey, you can see the Devprayag (convergence of the Bhagirathi & Alaknanda Rivers). 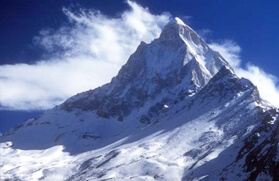 By evening, we will reach Joshimath and then you will check-in to the hotel. Arrangements made for scrumptious dinner and night stay at the hotel. 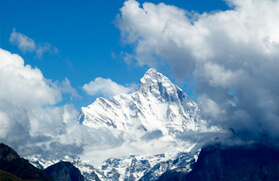 On this day, in the morning, we will leave Joshimath and drive toward Badrinath. 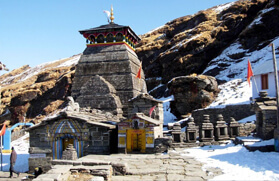 After reaching Badrinath you can go for sightseeing and explore the spectacular city. We will be staying overnight in the hotel. Today, after having wholesome breakfast, we will drive towards the village of Mana. From this point, our trek begins in the direction of the Laxmi van beside the falls of Vasundhara. 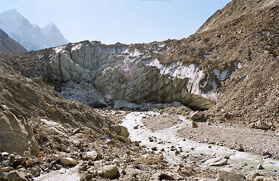 The Laxmi Van is a gorgeous campsite located in stunning surrounds with the fabulous Alkapuri Glacier sited on the opposite side. We will be staying overnight in the tents. Today, we will trek in the direction of Chakrateerth. We will ascend and then continue the trail beside the gorgeous waterfalls known as Sahasradhara which means 'Thousand Waterfalls'. After that, we will further move ahead and hike over the boulders on the way of the trail. We will be staying overnight in the tents. On this day, we will begin our trail early in the morning. 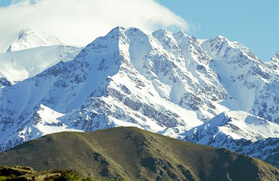 Today, we will ascend to the pinnacle of the ridge. From this point, we will hike along the glacier on the way to reach Satopanth Lake. After spending some time exploring the fabulous surrounds and relaxing near the lakeside, we will trek to our destination Chakrateerth. 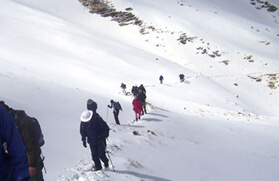 We will then further trek downwards to Laxmi van, which is reasonably an easy gradient with a cautious approach. We will be staying overnight in the tents. 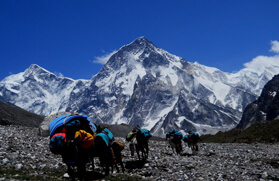 Today, we will tumble down to Mana Village which will take about 3 hours approx. 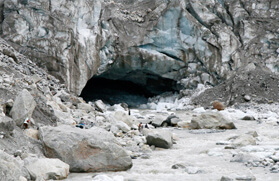 After reaching Mana, we will take the vehicle and drive in the direction of Rudraprayag. 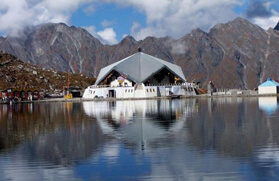 After you arrive at Rudraprayag, check into your hotel. We will be staying overnight at the hotel. In the morning after having wholesome breakfast, we will drive towards Haridwar through Rishikesh and Devprayag. Upon your arrival at Haridwar, transfer to the rail head and board the AC train for Delhi.